HandBrake is an open-source, GPL-licensed, multiplatform, multithreaded video transcoder, available for MacOS X, Linux and Windows. It is popular today as it allows you to transcode multiple input video formats to h.264 output format and is highly multithreaded. 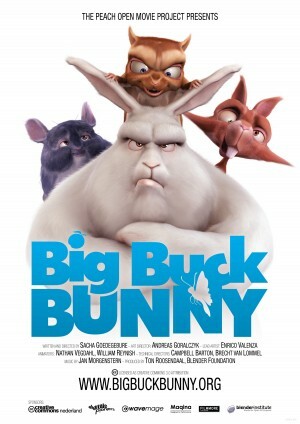 We used Big Buck Bunny as our input file, which has become one of the world standards for video benchmarks. The 1080P clip was used in the MP4 format and the workload is encoded into h.264 output format using the preset – high profile. This benchmark test was setup to give you an idea of how these processors can take a 1080p BD rip and turn it into a 1080p H.264. 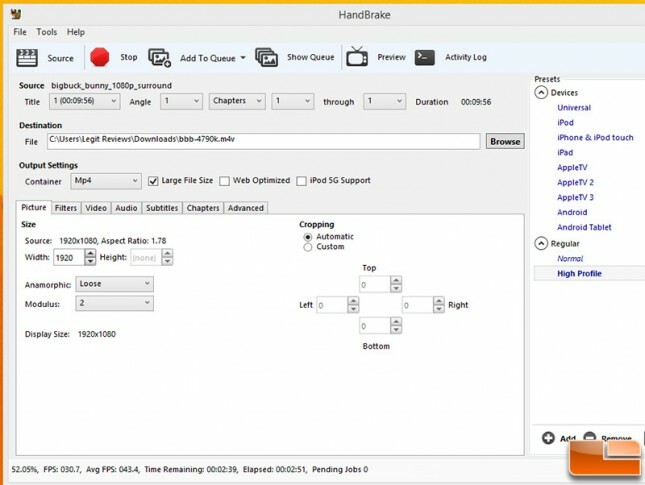 HandBrake version 0.9.9 was used for benchmarking and we highly encourage you to download this MP4 clip and compare your system to ours with Handbrake! 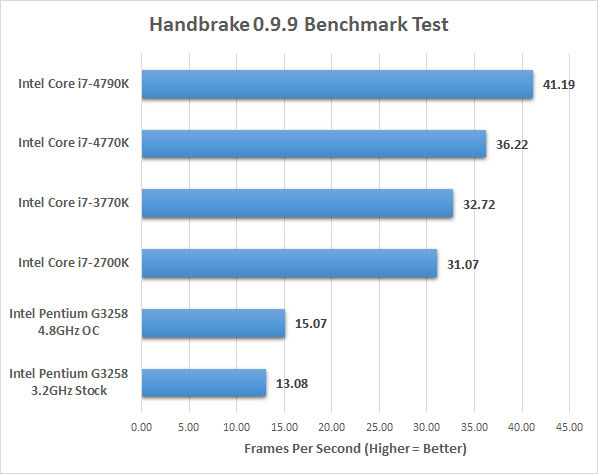 Benchmark Results: HandBrake version 0.9.9 showed that the Intel Pentium G3258 20th Anniversary Processor is no Intel Core i7-4790K Devil’s Canyon Processor, but was able to average 13 FPS on the render in stock form at 15 FPS when overclocked. This is just a 15% improvement with the 50% overclock, which was lower than expected. It was also the only sub 40% gain to be seen from overclocking on all the benchmarks that we ran.